Did you know that ash used to have a special status in Nordic culture? In Scandinavian mythology, the Tree of the World, Yggdrasill, whose crown spread across the world, was an ash tree. The roots of the tree were believed to extend deep into the ground, to a place where all the wisdom of the world was gathered and where the gods dealt out their divine justice. When you fix your eyes on the magnificent crown of this Nordic hardwood, it’s not hard to imagine the ancient peoples seeing something divine in this supreme tree. 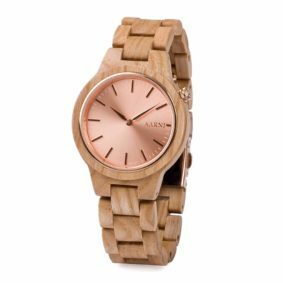 The wood is durable, wear-resistant and bends extremely well. In the old times, ash wood was used to make spears, bows, riding harnesses and other objects that required special durability. The wood is patterned with distinctive shades of light to dark brown, giving it a decorative feel. 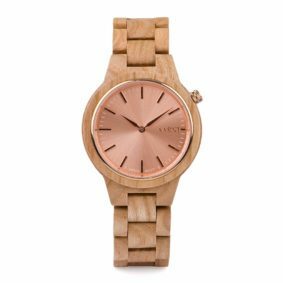 An ash-made wooden watch is a durable and stylish piece of Nordic culture in your hand.